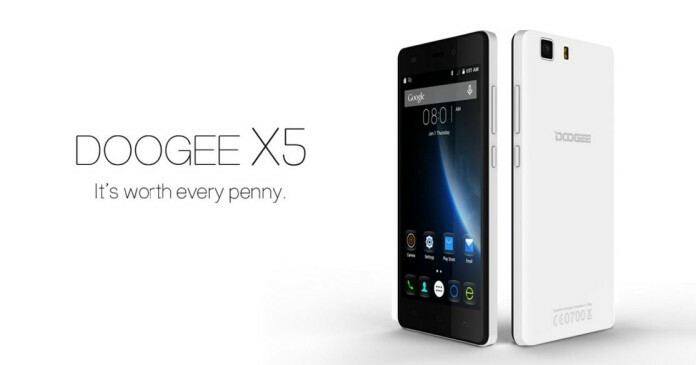 DOOGEE X5 Pro: Should You Get It? Home Tech Deals DOOGEE X5 Pro: Should You Get It? The device runs on MediaTek 1.0 GHz Quad-Core MTK6735 64-bit chipset. The GPU being Mali-T720. To compliment the performance and offer a better multi-tasking capability it comes with 2 Gigs of RAM. It comes loaded with Android 5.1 Lollipop. However, there’s no news about the Android M upgrade for this device. The smartphone features a 5.0-inch display with 1280×720 pixels resolution. And, it comes with 2400 mAh battery juice. The battery juice is enough for a robust user. It sports a 5 MP rear camera and 2 MP front camera. The DOOGEE X5 Pro comes with 16 GB of internal storage option and offers an external SD card slot as well. In terms of network connectivity, the device supports 4G LTE network and comes with Bluetooth v4.0. According to the price tag, we recommend you to opt for this product. But, if you want a better quality camera and more battery juice, you should opt for other budget products like Elephone P8000.